Ryan Giggs discusses Liverpool's "scary" form, the title race, Alexis Sanchez and why Gareth Bale should have won goal of the season. 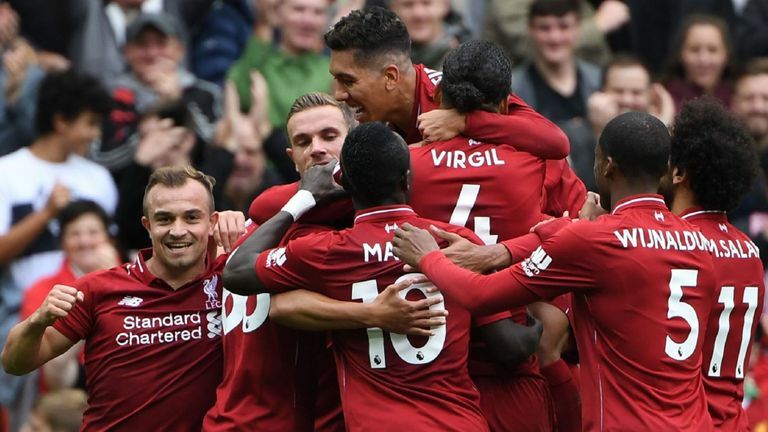 From 1-11 there's probably not been a better Liverpool team in the Premier League - when Raheem Sterling, Luis Suarez and Daniel Sturridge were on fire they were really impressive but probably overall it looks like a more balanced team now. You've got players who've been in the team a couple of years and you've got young players coming through with experience of Jordan Henderson and James Milner so it's a good blend in there. Liverpool haven't played well in some games but scraped results, which is actually quite scary because if you're able to do that, that's championship form, so not only the swash-buckling three or four goals, but digging out results is what you need to do to win it. It looks like a case of Manchester City v Liverpool for the title, although you can't dismiss Chelsea because they're playing well. Remember just two years ago they were the champions and they've got players in that dressing room who know what it takes - Liverpool haven't got that, but you've got to start somewhere and Liverpool have been impressive. As for Man City, I watched them against Lyon and you think something might be wrong and then they go and put on a show against Cardiff. So I'd say it was between those two but you can't discount Chelsea. I'd still just give Manchester City the edge purely because Pep Guardiola usually wins second season after winning the league and they've got players who've been there and done it. 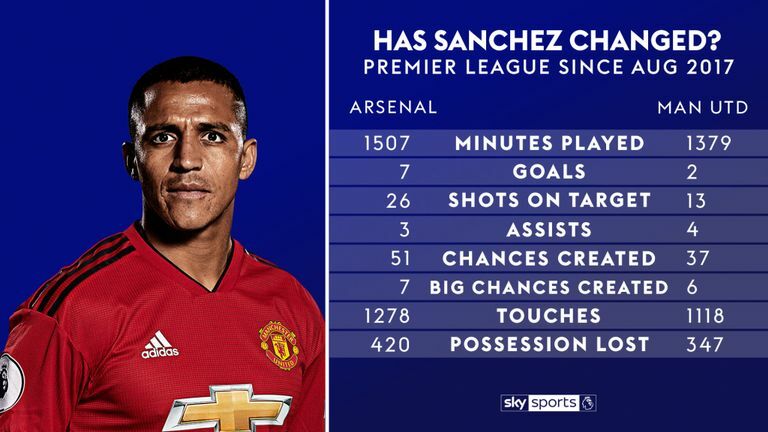 I'm a big fan of Sanchez, I was a big fan of his at Arsenal and sometimes it just takes players a bit longer to settle in - even though he's a top player he just looks like he's a bit short of confidence, but I'm sure he'll come good as he's a top goalscorer and a good player as well. He can play anywhere across the front, he played on the right for Barcelona and up front in his better days for Arsenal. I've seen him just off the left the most for United so it just depends who he's playing with and who they're playing against. He can also play that No 10 role but I think the best performances I've seen from him at United are just coming off the left, but it's just not quite happening for him at the moment. I voted for Didier Deschamps and Luka Modric - it's hard to argue against Deschamps as a coach, not only winning the World Cup but how he did it. He had massive disappointment in the Euros in his home country, then massive pressure after leaving a lot of big-name players behind but those big decisions he made paid off. To go on and win the World Cup, granted with a really good team, but the way he gelled them together was brilliant and I enjoyed watching them. As for Modric, I went to a couple of games at the World Cup and he made Croatia tick, he was a big part of them getting to the final. He's similar to Paul Scholes and these players don't come along too often so it's good to celebrate these players - who can dictate the tempo of a game and change it when they want to. 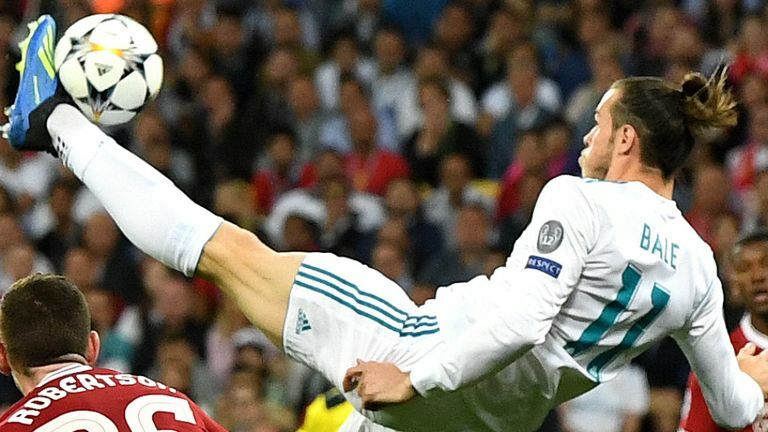 I think Mohamed Salah's scored better goals, not taking anything away from the goals he's scored and he's a fantastic player, but just for the wow moment and the enormity of the games then Gareth Bale should have won that I think. I think it's the only goal that would have got the reaction his did when he scored - I don't think you would have got that reaction from any other goal, purely because of the goal it was and in the final, it was just a wow moment. I'm enjoying it with Wales - but our last game was a defeat and the horrible thing about international football is if you lose you have to wait weeks for the next game to put it right. But it was a good camp and the game against Ireland was great and that's now the benchmark for us to try and perform at that level more often. You've got some good competitive groups in the Nations League and you always get competitive games and obviously you can qualify for the Euros so that's an added bonus. Plus as an international manager you learn a lot more about your players when there's something on the line so for me the new competition is better for us all. It was a great win, we're on a really good run at the moment and confidence is high - even though we're on a good run we're still among a lot of really good teams and we realise it's a long road and we've just got to keep it going. I've been to about three games this year - it's just juggling watching players for Wales, watching Salford, watching my son play at the weekend. Obviously I watch out for the results when I can't get to the games and I've seen a lot of them this year and it's really pleasing to see how it's going. The dream is promotion but it's far too early for that, it's so competitive and if you look at it we've been on a massive run and we're still not top and there's still not a lot between the top teams so it's going to go all the way with these teams because they're very strong. I hope it helps the rest of the lower leagues, we've taken a little bit of stick from false reports on how much we're playing players but it has brought the spotlight a bit on the national league and I hope that's good for everyone because there's some quality down there- I've seen some good games and some great goals and some decent players as well.